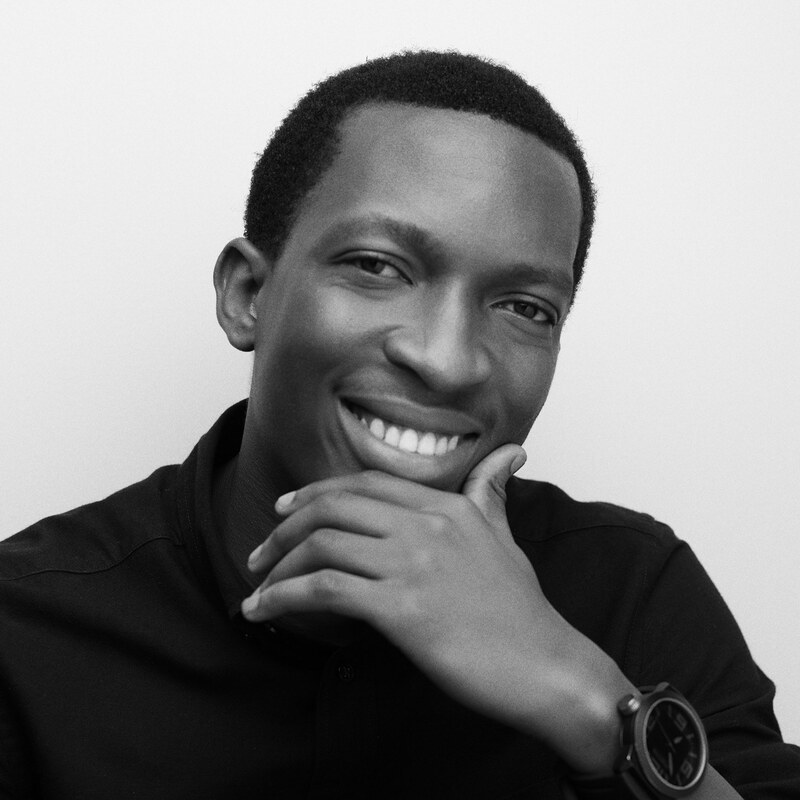 Hello, my name is Shola Akinlade, and I'm CEO of Paystack, a payments company that helps African merchants accept payments from anyone, anywhere in the world. On 11th November 2015, Paystack became the first Nigerian company to be invited to join the Y Combinator Accelerator program. The experience quite literally changed my life, opening doors and making it possible for my tiny team and I to have a shot at making payments in Nigeria a little better. The deadline for applications to the Y Combinator Winter 2019 funding cycle is 8 pm PT on October 2. I'd like to encourage you and your team to consider applying to YC. When I try to get some of my friends to apply, many respond with something along the lines of "We have so little." Too many promising African teams fail to shoot their shot because they see where famous YC companies like Dropbox and Airbnb are now, and they forget that those companies also started from 0. I'm sharing Paystack's YC application to show just how green you can be and still make it. You'll find commentary interspersed throughout the application, providing context and background, and if you have any follow-up questions, you can find me on Twitter at @shollsman. Apply to Y Combinator here. We launched with paystack.co, and it was about a year later that I was able to buy the .com domain from the previous owner. Gingerbox, Jekalo, and DIYLaw were some of our earliest customers. The way DIYLaw came on board was that I went to them to register the company, and they mentioned that they actually needed something like Paystack. That's how Paystack grew in the early days - purely by word of mouth. Software and services needed for merchants in Africa to accept online payments from local and international customers. We provide a full stack APIs and we’ll securely collect, encrypt, transmit and store customer card information in a highly protected vault and offer continuous anti-fraud and charge back protection services. To make these happen we’ve partnered with Access Bank (the third Largest Bank in Nigeria) and we’ve built a PCI Compliant payments infrastructure and APIs. It's interesting to see how consistent our vision has remained. The only difference is that Paystack now works just as well for non-technical business owners as it does for developers. We power all scales of businesses, including some of Nigeria's best known brands such as Domino's Pizza, Taxify, Abia State University, Iroko TV, God is Good Motors (GIGM), Hotels.ng, and BusinessDay. Additionally, our active banking relationships now include Zenith Bank, GT Bank, FCMB, Wema Bank / ALAT, Fidelity Bank, Diamond Bank, UBA, First Bank, and Heritage Bank. I applied to YC as a solo founder. Tip: don't do this  Later down this page I'll talk about where my co-founder Ezra came into the picture. It's impossible for me to watch this video and not cringe a little  The first of many, many, many pitches! Private Beta. We are piloting with a dozen merchants and we have hundreds of merchants on our waiting list. I like to point this out when speaking to founders who have overblown assumptions about how much traction they need to have before applying to YC. What is your monthly growth rate? We are currently growing our waiting list at 10x, and transaction volume at 15x. By the last application, it was just a prototype, now we’re already running live transactions and we’ve released additional libraries. When i founded my first startup in 2010, we needed a way to accept payments online, there was no solution locally, we had to work around using Avangate BV and creating accounts in the UK. 5 years later, there’s still no easy way. I spent the entire 2014 implementing payments and disbursement solutions for Banks and i realized that most of the infrastructure needed to build a full stack payments API already existed, and it just needed someone to do the hardwork of putting it all together and doing all that is necessary. I finished the engagement in Nov. 2014 and immediately created Paystack. The demand for Paystack is amazing, we haven’t done any PR or Marketing and we’re growing our waiting list at 10x monthly, just from word of mouth. I’ve personally spoken to over 150 merchants and everyone is excited and waiting. Our pilot merchants need it so much that they started using it without a settlement system, so they did not mind leaving their money with us for over 6 weeks. What’s new? In Nigeria.. there’s still no way to accept recurring payments or one click payments. The incumbents are big co’s owned by banks and are not interested in innovating. Substitutes, creating US or UK companies so they can use UK or US payment processors and then find ways to send the money back. In hindsight, the quip about big companies not being "interested in innovating," was a little harsh. Two years later, I have a ton of respect and admiration for the impossible problems that the large payments companies had to solve to make it possible for Paystack to exist today. In too many ways to list, the current generation of fintech companies stand on the shoulders of giants. Local FI’s are not able to progress because they mostly buy white label solutions. No incremental progress or problem-solving. Global companies like Stripe and Braintree are competitors but it will be difficult for them to meet the needs of the African Merchants. It’s easy for them to offer Bitcoin or Apple Pay integration but what about Verve Cards (a pan African card scheme), or Mobile Money or other local card schemes? Local Non FI’s are the real competition, but we believe that as long as we focus on solving the merchant’s needs we will continue to grow our business. Well, we’re firstly developers, then business owners, and merchants so we can feel the pain from a developer and merchant perspective. every other person right now seems to be more interested in their vested interests. To this day I'm fiercely proud of the fact that Paystack continues to be an intensely  product-led company. Everyone on the team has some sort of side hustle (which means we feel our customers' pain firsthand) and we're all makers (which means we don't rest until stuff just works). By the way, if you're looking to purchase fine Italian wines, small chops for your event, tailoring services, or luxury packaging, there're multiple members of the Paystack team who can hook you up for a good price. We’re already getting users by word of mouth. We’re active in the local developer community, we’ll reach out to merchants directly, and we’ll signup merchants via integration with existing services (Shopify, eventbrite, woocommerce) Our banking partner has also asked that we onboard thousands of Merchants that are their customers. Our cap table looks different today, but this is what it looked like then. Was any of your code written by someone who is not one of your founders? If so, describe how can you legally use it. "Convinced" is putting this lightly. My friend, <a href="https://medium.com/@oothenigerian">Oo</a> literally sent an email, without my knowledge, to multiple YC partners, insisting that they check out Paystack. I remember opening my email, realising what I had been copied on, and screaming to myself something like "Oh my God Oo, what have you done?!" Shortly after I sent the application, I received a reply asking for further information. Thanks for applying! A few questions for you. 1) Can you tell us more about the online consumer payments market in Nigeria and the other markets you’re looking at? What % of consumers pay with credit cards, verve money, etc.? Last year, in Nigeria, about $43B was processed in Card transactions. But only about $0.4B were online transactions. So about 1% of cards were used online (up from 0.2% in 2006). However, E-commerce is experiencing enormous growth (from about US$ 35 million in 2012 to over US$ 550 million as of October 2014). Credit/Debit Split: 3% Credit Card, 97% Debit Cards. I got many of these numbers from KPMG's <a href="https://assets.kpmg.com/content/dam/kpmg/za/pdf/2016/09/Payment-Developments-in-Africa-2015.pdf">Payment Developments in Africa Volume 1 2015 Report</a>. Fun fact: I would later go on to hire one of the people who worked on this report. 2) Can you tell use more about the experience using Stripe and Braintree in Nigeria? What do they and do they not support? Are there issues unique to your markets? Firstly, Stripe and Braintree do not support Nigeria (or any other African country yet). A few merchants use them, but they need to register their companies in US or UK and then find a way to get the money back to Nigeria. Fragmented Payment Methods. Local Card Schemes (Verve, Genesis), International Card Schemes (Mastercard, Visa), Bank Accounts (like ACH), Mobile Money Wallets. Small correction: Most US banks also use third party service providers for issuer processing and acquirer processing. 3) Who else is working on your team? I’ve worked with 4 top advisors to make Paystack happen. Seun and I were classmates at University. He helps with the paperwork required for executing the banking partnerships and regulatory obligations. Oo runs callbase.co, he’s spent a lot of time helping with the product design and overall vision. Abis is a financial / Risk management consultant. 4) Can you send us a graph of monthly transaction volume since you launched? We have not launched yet, we’ve been piloting with a few merchants for 7 weeks. Here’s a graph of the live transactions we’ve done so far. Man, I look at this graph and I can't stop laughing  It's almost comical, but it was what we had - a whopping 22 transactions in our first month, and 318 transactions in our second. Today, we do many multiples of this in minutes. It's good to look back and see where you've come from. If you'd like to hear more about how other African founders got into YC, 9 of them will sharing their stories at the <a href="https://www.eventbrite.com/e/y-combinator-lagos-meetup-tickets-37145958562">Y Combinator Lagos Meetup</a>, which will take place at noon, on Saturday September 23rd, at the Paystack office in Ikeja GRA, Lagos. Once more, the deadline for the applying to YC is 8 pm PT on October 3rd. <a href="https://www.ycombinator.com/apply/">Apply to Y Combinator</a>.